Digits, First in Math, Reflex Math, Compass Learning, Plato Learning, RAZ Kids, Study Island, Schoology, InfOhio, NWEA MAP, Moodle, StrataLogica, Flipped Classrooms using VIMEO, YouTube, etc, etc, etc… All of these examples and actually many more are ways that Worthington teachers are helping students personalize learning in the classroom and at home. None of these are new things for this school year. They’ve been going on for some time. The use of technology as a tool integrated throughout the curriculum supports higher order thinking skills, communication skills, collaboration, and problem solving, which are critical elements of the district’s strategic plan. Student access to technology is essential to meet the educational development needs of the twenty-first century. Students, teachers, and administrators must be able to process and manage information through the skillful use of technology. As we created our technology plan we wanted to make certain that our options for student learning were both increased and also organized. In order to do this we decided to implement two online cloud-based resources that would help our students, teachers and families collaborate with one another. Worthington will implement an instructional management system that is single sign-on to simplify online learning, virtual classrooms, digital learning materials, etc.. (A system such as the iLearnOhio Learning Management System.) Time and again across all of our technology meetings students and families said that they had trouble remembering where to access all of their children’s passwords and digital resources. By 2017, we plan to have fully implemented a single sign-on system that will take students to the digital resources for each of their classes located in one place. The Google Drive of one teacher and the digital textbook will be there. The YouTube videos and homework links of another teacher will be there. All organized by class schedule and accessible via the web. In addition, Worthington will implement Google Apps for Education to increase student’s and teacher’s ability to communicate and collaborate digitally. Worthington GAFE is an integrated communication and collaboration solution, hosted by Google and managed by Worthington. GAFE will provide the ability for Worthington students, faculty and staff to communicate (email), store files and collaborate on documents, spreadsheets, and presentations in real time from school, work, or home. This is all within a secure online environment. Teachers can use Google Apps to facilitate group projects and use the history tool to see the level of participation of each student in a group. Teachers will be able to give feedback to students directly in documents shared with a teacher. Turning in assignments will be as easy as sharing the file in Google Docs with the teacher or by emailing it to the teacher through the student’s Worthington Google Apps Mail account. Furthermore the addition of iLearn and GAFE allow students to access these main tools from any device. It does not matter whether they choose a chromebook, a PC, MAC, or tablet he main tools for collaboration and student learning will be accessible. 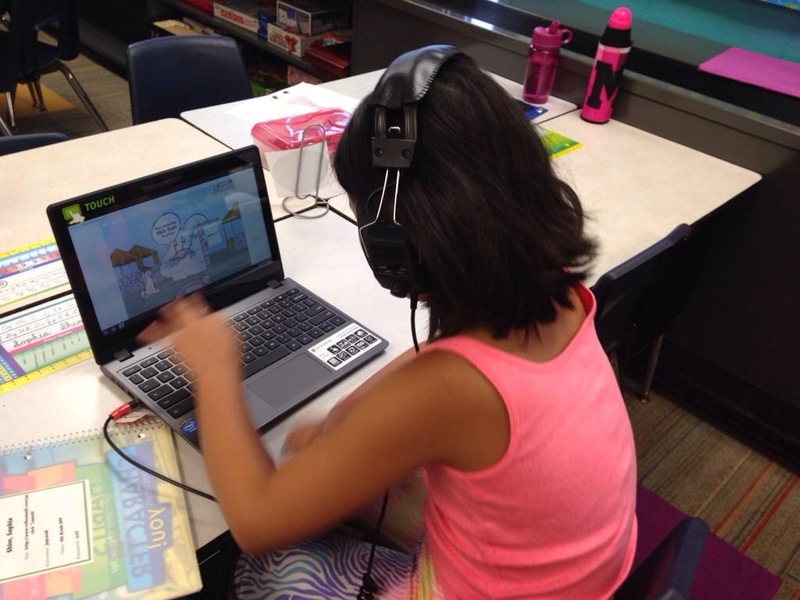 Our students are accessing an incredible amount of their materials and individualized learning through technology. We believe this will only increase over time and that we now have a plan in place to help students and families organize this learning. The good news is that devices are better today and cheaper today than they have ever been. As we created our three year technology plan, that reality became very apparent. The demands of the workplace require educational institutions to educate and train students in the use of a wide range of technology in order to better prepare students for highly skilled and well-paying jobs. 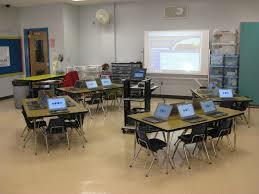 Technology provides a means to meet the diverse learning needs of students. 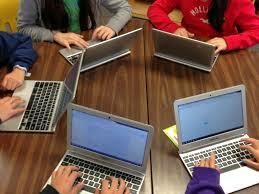 Technology provides motivation for students and facilitates their active involvement in activity-based learning. Technological resources will have a positive impact upon student achievement and motivation. Our decision to integrate a BYOD plan with Worthington provided devices was intentional. We want technology to be a tool to help students learn, not the focus of the student’s day. Often with full 1:1 standardized roll-outs of technology, the device becomes an “add-on” and the pressure to use it consistently and effectively in the classroom becomes more important than thoughtful delivery of the curriculum. Within our schools we will provide a variety of devices. This fall 2,800 chromebooks will enter our ecosystem. The chromebook is fast, portable,durable, easy to support, and reasonably priced. In addition we will continue to provide PC laptops. These devices have more functionality but come at a higher cost. Finally we have many specialty labs for STEM, video production, etc.., that use MAC’s because of their specialized nature. For the first time, all teachers will also be allowed to BYOD or will be provided with Worthington mobile devices. For a long time we have asked our teachers to provide mobile learning opportunities for students but we have not provided them the technology to do so. This technology plan changes that expectation. Because we will be asking families to provide technology, we recognize that not all families will have the means to do so. Thus at each school we are working to create lending libraries where students can check out a laptop and a wireless access point just like they would check out a book from the library. This will enable all students to have computer access when and where they need it. This fall devices will transform our elementary schools. Later in the school year and into next fall our secondary school classrooms will follow suit. By the middle of 2015, you’ll see a totally different school district. For many years in Worthington our school district motto was “Where Excellence is a Tradition.” If you’ve spent any time in Worthington you realize that the schools and the community take both the excellence and the tradition seriously. 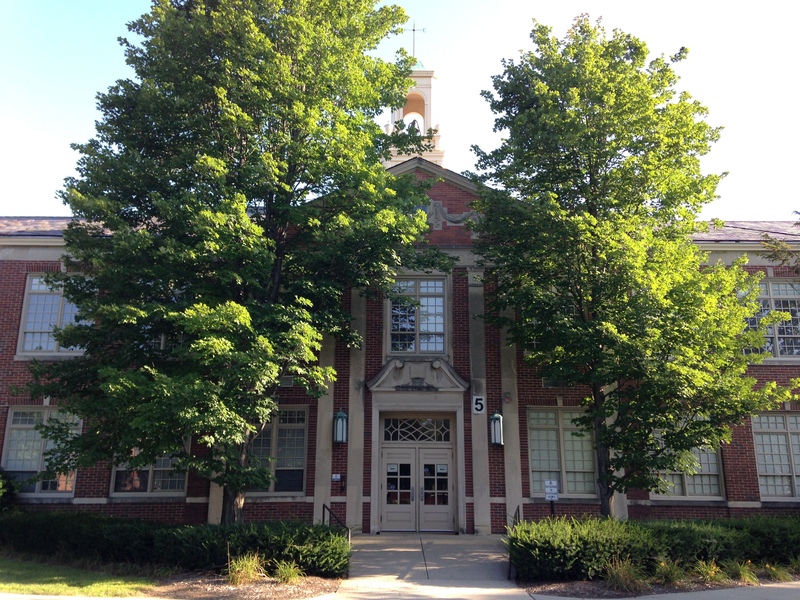 The consistent red brick throughout Worthington proper, the allegiance of attendance areas to local elementary schools, and the “Worthington way” are all things even outsiders pick-up on immediately. Even though our students have seen success in the past we believe it’s important to continuously change and grow. Technology is an area that we feel strongly must be improved in order for this to occur. The creation of local area networks, wide area networks, and access to the information superhighway are vital for schools to provide efficient, effective technology based curricula for their students. It’s with these beliefs in mind that we set-out to create a robust technology plan that would provide our students and teachers with access to the tools they need to personalize education. The first area that we set-out to focus on was the infrastructure. In Worthington we methodically upgraded all of our buildings so that we could create a robust technology and electrical infrastructure (servers, file storage, routers, switches, bandwidth, high density access points, etc…) that will meet the demands of today and the yet unknown demands of the future. This was akin to renovating an old home. Our schools were all built sometime between 1930 and 1991. Even our newest schools were built before the internet was yet a thought of most educators. While my understanding of technology infrastructure is at best limited it is akin to a road. For many years in Worthington our technology road was a two lane country road. It was fairly narrow and bumpy but it sufficed for a long time. In the 90’s as technology became more prevalent the road was expanded to a four lane road with a few stoplights and turning lanes to control the traffic flow. Over time as the internet expanded, smartphones and tablets entered the school, and the demand for video over the internet grew, our four lane road was jammed. The lights were backed up, frustration increased, and some staff and students created workarounds because our roads weren’t cutting it. Using bond money from both the 2006 and 2012 bond levy’s our latest expansion of our road moves from a four-lane road to a twelve lane super highway that is built with even more expansion in mind. (The highway represents our bandwidth and fiber capacity. Last fall we were responsible for orange barrels all over Worthington as we laid our own fiber optic network.) To keep traffic moving on our new superhighway we invested in HOV lanes (new high density wireless access points) and roundabouts at every exit (new switches, routers and electrical.) Currently our new road is only being accessed at about 40% capacity. Traffic flows quickly and easily and delays are non existent. Infrastructure is the foundation of our technology plan. In Worthington, we created a solid foundation that should allow us to meet the ever-changing needs of technology for the foreseeable future. When I was growing up the phone book was really important. The White Pages and the Yellow Pages were stored in a cabinet below the cordless telephone in the kitchen. My dad expected that the phone books were kept in this location and he did not take kindly when he went looking for them and they had been left somewhere else in the house. Not long ago phone books were needed in order to call a neighbor or find an auto repair shop. My kids may have never seen a phone book. When we need a number today I push a button on my cell phone and ask for the number. The phone not only provides the number it dials it for me and maps the quickest route from where I’m located. Thus, our world has changed. More importantly, the world our students must be prepared for has changed. With that in mind Worthington Schools has created a robust three year plan for technology integration that will revolutionize the way our students and teachers communicate and the ways that technology will be integrated to personalize learning for all students. At last night’s Worthington Board of Education meeting we formally presented the plan that was created as a result of input from hundreds of students and families as well as the work of a team comprised of students, parents, teachers, administrators, board of education members and community advisors. Worthington will create a robust technology and electrical infrastructure (servers, file storage, routers, switches, bandwidth, high density access points, etc…) that will meet the demands of today and the yet unknown demands of the future. 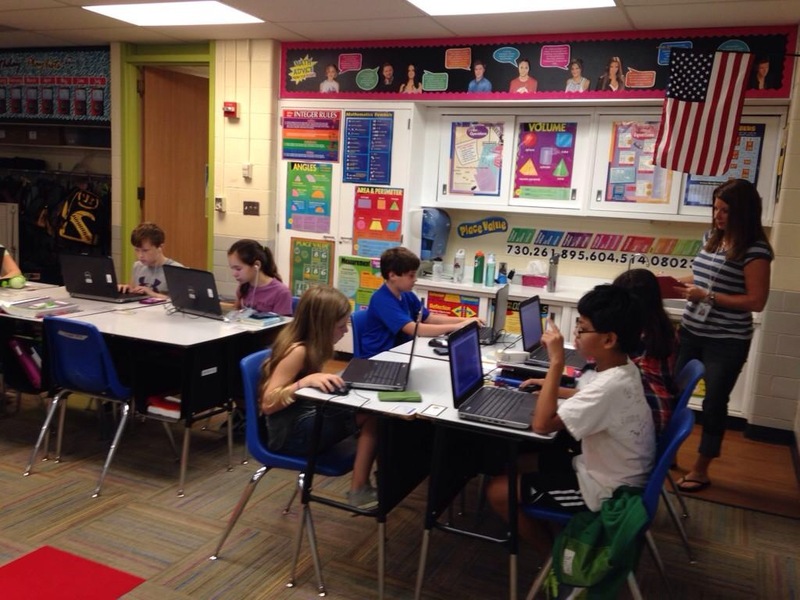 Worthington will strive for 1:1 computing for all students. This will be accomplished by providing district mobile devices at a ratio across the school district at 1 device for every 2.5 or 3 students. This will allow students and teachers to have access to devices on-demand and in a flexible manner. Devices will be allocated based upon student need and not necessarily equally in all schools. Worthington will create a technology professional development learning plan to help all teachers integrate digital resources and technology into their instruction. Over the next several days we will examine the main parts of this plan on this blog. Please check back daily for an in-depth look at of how Worthington plans to integrate technology into our schools to prepare students for today’s and tomorrow’s world. Every Year in Worthington an educator is honored with what we consider our highest honor. They are named the Gary Smith Compassionate Teacher. This year for the first time two Wilson Hill Elementary educators were tapped to share the award. Josi and Jimmy. The Gary Smith Compassionate Teacher Award was founded in 1998 in memory of Worthington teacher and coach, Gary Smith. Its purpose is to honor Worthington teachers who go above and beyond normal teaching duties, extending themselves in special ways to care for students in need. Gary Smith was a long-time Worthington teacher and coach who made a positive difference in the lives of hundreds and hundreds of kids. In describing coach Smith, Worthington Board of Education member, Charlie Wilson, quoted his own son who said, “But for coach Smith, I wouldn’t have had the happy life I’ve had.” In 1998 at the age of 53, Gary Smith passed away from cancer. Yearly in Worthington we honor a teacher in his name, who consistently goes above and beyond to make a positive difference in the lives of kids. This year we honored Josi and Jimmy. One of this year’s recipients is a fourth grade teacher. Josi Davis connects with people. She smiles all the time. Her smile lights up her classroom and students and parents all comment that they know she really cares about them. Josi backs up her caring with her actions. No one who knows Josi could be surprised that she was named the compassionate teacher for 2014. That’s just who she is inside and outside. This year Josi will share the award with her colleague at Wilson Hill, custodian Jimmy Rohrbacher. Jimmy takes pride in his work and you can see that immediately when you walk into Wilson Hill. The floors shine and it’s clear the school is well cared for. However Jimmy did not win this award for just doing his job well. He won the award because he is a trusted adult in the school who goes above and beyond to connect and build positive relationships with students. He is a trained member of the school’s crisis response team and most students see spending time with Jimmy as a reward. Kudos to Dodi Zimmerman and our Wellness Steering Committee for making this happen. We are looking forward to our continued partnership with the American Heart Association. Good luck on a happy and fit 2014-2015 school year! Happy first day of school! It’s like a national holiday in Worthington! Our buses start rolling before sun-up. Young students with clean shoes and new backpacks wait anxiously at bus stops or walk briskly towards school. Some middle school boys may even have taken a shower this morning and combed their hair (maybe.) 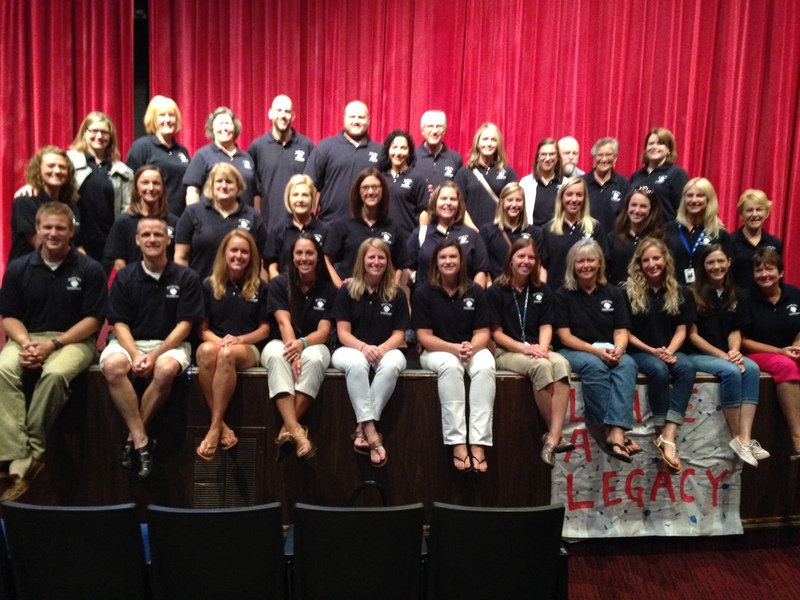 It’s going to be the first great day in what we believe will be a great school year in Worthington! This year in Worthington we will focus on what it is that makes Worthington a special place for students. Staff members will go out of their way to build personal relationships with students that help all students and families to feel a sense of belonging and acceptance. With relationships firmly built, we’ll encourage and push students to heights they may not currently believe are possible. Our first focus is on the relationships. At the end of the day, each and every Worthington adult will strive to make a positive difference in the lives of our students, their families, and this community. It’s this commitment that is the Worthington difference! On August 25th Worthington will roll out our three year technology plan with the Board of Education. As school begins students will see faster internet speeds, high density wireless ports and updated switches and electrical capacity that allow for students to use their own devices. We’ve worked hard to build a superhighway within our school district so that our students can utilize the technology tools of their choice in learning. In addition all Worthington students in grades 2-12 have their own Worthington Google Apps for Education accounts. These accounts will include email, calendar, docs, slides, drive, etc. These web based tools will allow our students to work digitally, share their work simply with their teacher or peers, and collaborate in real time with their teammates. As the fall progresses 2,800 Chromebooks will drop into the Worthington ecosystem and students will have on demand mobile technology. By utilizing a combination of Bring Your Own Device and Worthington supplied devices by 2017 our plan is for Worthington students to be 1:1 with their technology. Due to Ohio HB 487 this year the class of 2018 has new graduation requirements. As a result, the Class of 2017 (10th-graders in the 2014-2015 school year) will be the last students to take the current Ohio Graduation Tests. The new requirements take effect with students entering ninth grade this school year. Additionally, every student in the Class of 2018 and beyond will have the opportunity to take a nationally-recognized college admission exam free of charge in Grade 11. As the school year progresses we will continue to strive to implement high quality programs in all areas. We’re attempting to grow the number of young women and minority students in our STEM (Science, Technology, Engineering and Math) programs by partnering with the Women in Engineering Society and the National Black Engineering Association. We’re also encouraging and providing support for more students to take high level Advanced Placement, International Baccalaureate and College Credit Plus classes. When students graduate in May of 2015 we will make certain that they are College and Career Ready. Worthington students K-12 will participate in co-curricular programs that enrich their lives. The Colonial Hills cross-country course has been spruced-up and is ready for runners. Coach Hopkins is challenging the football players at Thomas Worthington and Coach Irwin is excited to see her Lady Wolves on the soccer pitch. For the last several weeks the marching bands from each high school have been practicing on the front lawns. Drivers on 161 and Hard Road have been rolling down their windows to listen in. The 2014-2015 school year is finally here. It’s our great privilege to welcome the children and young adults of Worthington into our schools! It’s going to be a great school year. We promise.